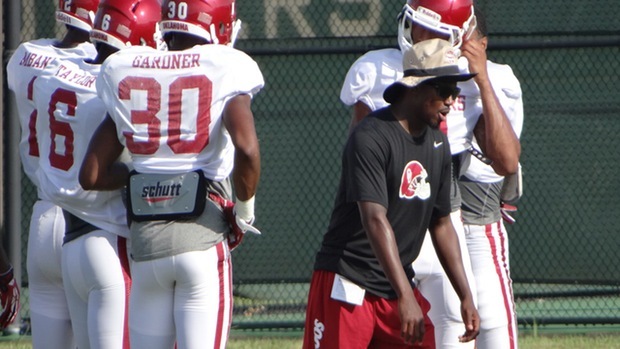 Courtney "Chip" Viney, who had served as a special teams quality control coach for Oklahoma last season after his stint as a graduate assistant ended but who had a big impact in the Sooners' recruiting efforts, is moving on. Viney was hired by former Oklahoma co-offensive coordinator Jay Norvell to join his staff at Nevada. Viney is expected to coach cornerbacks or defensive backs there. Norvell announced the hiring on Twitter on Tuesday night. Viney joined the Sooners staff in 2012 after defensive coordinator Mike Stoops and linebacker coach Tim Kish convinced Viney to come to Norman as a GA. Stoops and Kish had recruited Viney out of high school when both were at Arizona.